"A funny story, Jaina. As you know, in addition to being the leader and namesake of The Soulfrost Avengers, I also lead a crew of ragtag adventurers exploring. Tombs, Fel Horde bases, haunted towers, that sort of thing." "Oh, Jaina." Soulfrost laughs heartily. 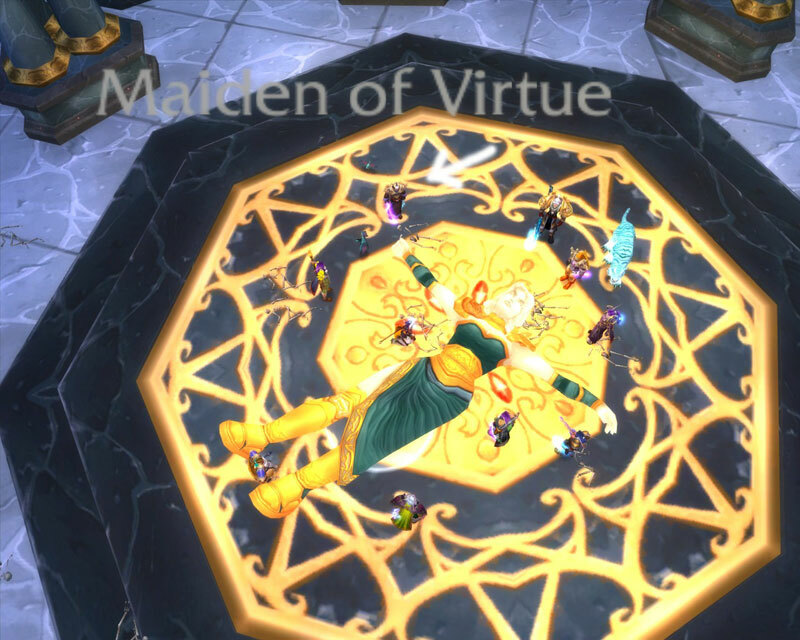 "Well recently, we took a look inside Karazhan-"
"Oh yes. I've read the article in the Soulfrost Times..."
"You follow my newspaper? I'm flattered. But no, that was a long time ago. We've accomplished much more since then. Just recently, I decided to poke my head into the Guest Chambers, you know, just out of curiosity. I wasn't planning on staying, or anything." "Yes, well. After a few less than pleasant encounters with the concubines - I heard one say something about an imp - we ran into a very tall woman who was standing in the middle of a big room for no discernible reason. She seemed very virtuous." "She would have to be, to be loitering in the Guest Chambers with all those whores. What did you do?" "Well, we killed her, of course." "Why did we kill her? I'm still trying to figure out what she was doing there in the first place." "Oh, my...but at least that was the end of your expedition, right?" "Well, there was nothing else in the room, just this very tall woman standing very still, and she was dead now. But that did not deter us. Thankfully, there was a theatre nearby, so we decided we'd go take in a show." "That's a story for another time. OH! Do you have one of those white-screen thingies? Can I put some pictures up on it?" "I, well...yes, but I don't know if you shoul-"
"Get ready for this, it's the money shot. My friends and I, posing near her body. Very heroic, I should say. "Hmm....you know, it might well be." "Oh, dear...we'll be right back with more of this fantastic interview, right after the break..."